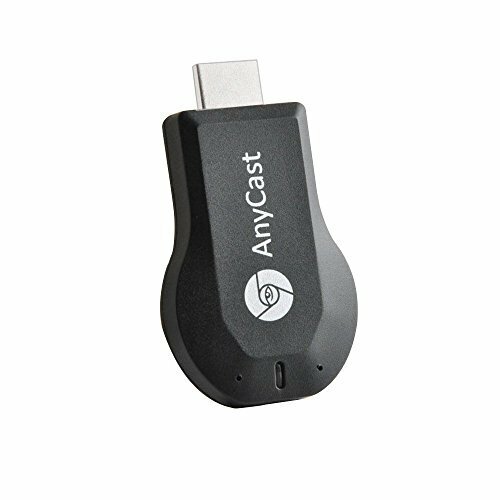 This Wireless WIFI Display Dongle is a special device to project your mobile phone/MID/Notebook to another big screen through WIFI connection, under the popular standards like DLNA, Miracast and Airplay. You can enhance your TV/Projector/Monitor which have HDMI input socket, with more features like streaming video, websurfing, photo viewer, live camera, internet video and more, to enjoy excellent multi-display sharing. 1. Please read the instructions carefully in the packing about how to setup this item Or contact with our service team first if you do not know how to use. Multi-Platform Support: Compatible with iOS, Android, Windows, and Mac OS. Multi-Device Support: Software to mirror your device using DLNA (Android) and Airplay (iOS/OS X) is EZCast. Please make sure the Android device supports Miracast if you want to mirror screen on to a television or projector. If you have any questions about this product by Colori, contact us by completing and submitting the form below. If you are looking for a specif part number, please include it with your message. 2018 Yehua Wifi Display Dongle HDMI 1080P TV Receiver Adapter Mirroring screen from phone to big screen Support Miracast Airplay DLNA TV Stick for Android/Mac/iOS/Windows.